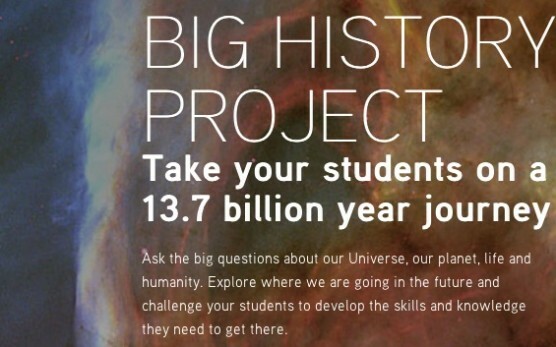 There are big things happening with the Big History Project, an educational initiative started by Bill Gates to create a free online course for high school students. The Big History Project recently announced a number of developments. Most importantly, the Big History Project officially launched its school program on August 15th. The program has been running in a succesful beta program for the past two years and is now running st full capacity. It is a completely free and open online course for any educator around the world. You can take a look and register for the course at www.bighistoryproject.com. They are also developing a program for the general public set to be released this fall. This companion program will be a lighter weight website that combines great multimedia assets with original editorial content. The course is targeted to be about 4 hours long, and it is literally suitable for anyone. This portion is expected to launch after the school program, sometime in the early fall. Keep an eye out for updates! Finally, the Big History Project is partnering with History Channel to develop a 16-part program to be aired on H2. The program is tentatively slated to premiere late fall.